Design/methodology/approach: Paper presents a systematic review of articles dedicated to intangibles and their valuation. 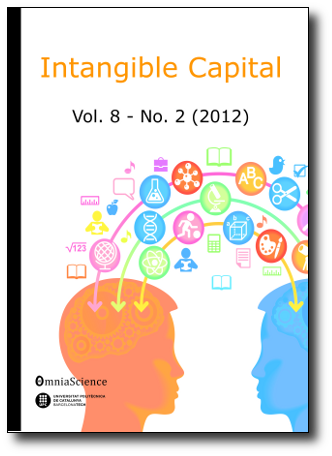 Findings: This review shows that there is a need for consensus in definitions of intangibles, intangible assets, knowledge assets and other related terms. These terms are used interchangeably in spite of their different meanings. Many methods for valuation of intangibles can be found in the literature, but widely accepted list of basic intangibles with suggested methods for their valuation in financial terms is still missing. Practical implications: Paper calls for development of framework comprising list of the most important intangibles, proposals of methods used for their valuation and examples of their use. This framework can be helpful for organization, which are confronted with a difficult task of intangibles valuation.